There’s an exciting line-up for our AGM this year. After a brief AGM, when we hope to get lots of people to volunteer to help with our campaigns, we are starting the run-up to the 2016 Holyrood Elections, which of course will be followed by the 2017 Local Government Elections, by looking at what sort of policies we want to see put in place. 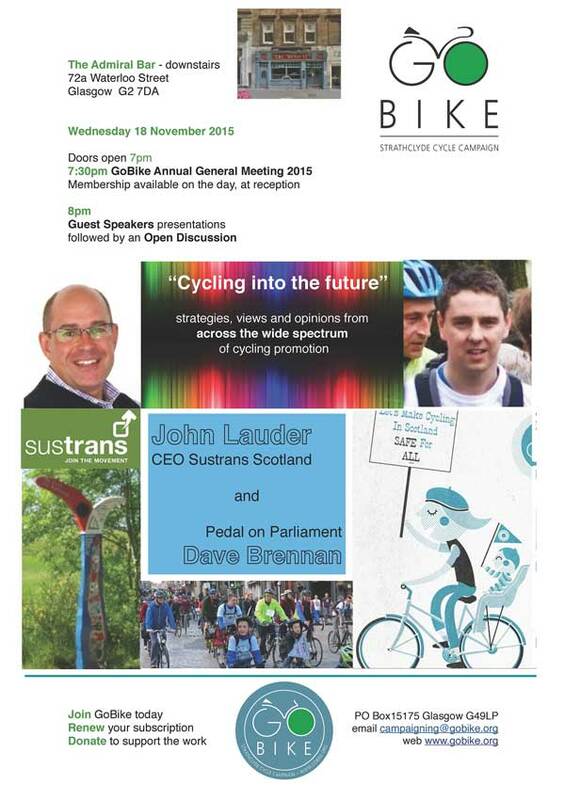 John Lauder, Director of Sustrans Scotland, will outline how Sustrans has developed over the years and is now well to the forefront of good cycling infrastructure design, working with Transport Scotland and local government to deliver the modal shift required to make us a healthier nation. 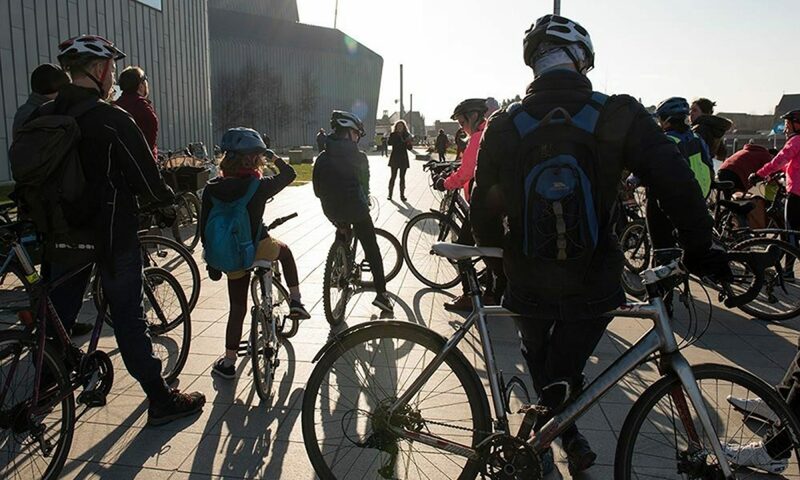 Dave Brennan, GoBike member and Pedal on Parliament spokesperson, will outline how Pedal on Parliament has brought thousands of us on to the streets of Edinburgh each year to tell our politicians that we want more and better cycling infrastructure. The AGM will be held on Wednesday 18 November 2015 at the Admiral Bar, 72a Waterloo Street, Glasgow. Doors open 7pm, AGM 7:30, Guest Speakers 8pm. Here’s a pdf of the flyer shown above: reduced GB! AGM ’15 Please circulate this to friends and acquaintances and get them to come along.